Bitcoin has been struggling to maintain its value since its initial plunge from its $19,978 high in December 2017. While its value has been hovering between $5,800 and $6,800 for the past month, this is still more than double its value from this time last year. This is quite the feat, considering all the hard knocks that its been taking, namely the various hacking scandals, blockchain protocol glitches, increased international ICO legislations and crackdowns, among others. Given that China is responsible for between 50-70% of the world’s Bitcoin hash-rate, it is interesting to consider the impact that it has on both bitcoin and cryptocurrencies as a whole. Most recently, the crypto-world, especially the bitcoin world panicked when the recent floods in China caused a slowing down of the overall hash power of the bitcoin. This was understandable, given that the flood destroyed bitcoin mining equipment that is speculated to have produced approximately 8-10% of China’s overall bitcoin output. The initial flooding of the mines occurred on July 1, 2018 and continues to impact the hash-rate times of bitcoin that is currently being mined. Although it hasn’t seemed to greatly impact the overall price of bitcoin, it certainly didn’t help its value to regain momentum. And indeed, this question does leave room for thought, given that China is continually increasing their legal opposition to all involvement by citizens in the cryptocurrency economy. Aside from the usual concerns regarding tax evasion, money laundering, and other potential threats to the Chinese Renminbi (RMB), there are a number of other legitimate considerations. For instance, bitcoin and other cryptocurrency mining consumes a great deal of electricity during the mining process. This causes strain to the electricity suppliers, especially in cities such as Beijing, where much of the bitcoin mining machinery is run, which in turn affects their ability to maintain their equipment and to provide efficient electricity to the remaining population. This is especially annoying to the companies, as the reason for the prevalence of bitcoin mining is largely due to the low electricity costs to the consumer. It’s for this reason that the Chinese government moved towards increasing electricity prices, as this would make mining less lucrative for miners, and therefore hopefully discourage them from doing so. Other concerns are attributed to concerns over the volatility of cryptocurrency prices. After all, if Bitcoin were to become more mainstream, this could also encourage interest investing in other cryptocurrencies. This concerns the Chinese government, as if Chinese citizens were to invest their Renminbi in cryptocurrencies, and the cryptocurrency market were to crash as it did between January and April 2018, it could have a potentially high negative impact on the Chinese economy. This is especially true if investors were to take out loans to acquire their investment funds, as the money would be irretrievably lost. In September 2017, China was became the first country to ban ICOs. This is actually a pretty unusual step, as most countries have chosen to crack down on ICOs until they have created official legislation for categorizing and taxing both ICOs and cryptocurrencies. Only a handful of countries have opted for such an extreme measure, including South Korea, which is currently reviewing its stance, as it realizes that it is fighting a losing battle. Part of this ban included compelling completed ICOs to return any funds gained through ‘illegal fundraising’ ventures. Of course, China might decide to change its stance and develop its own set of ICO guidelines and legal standards, but there has been now word of changes as yet. 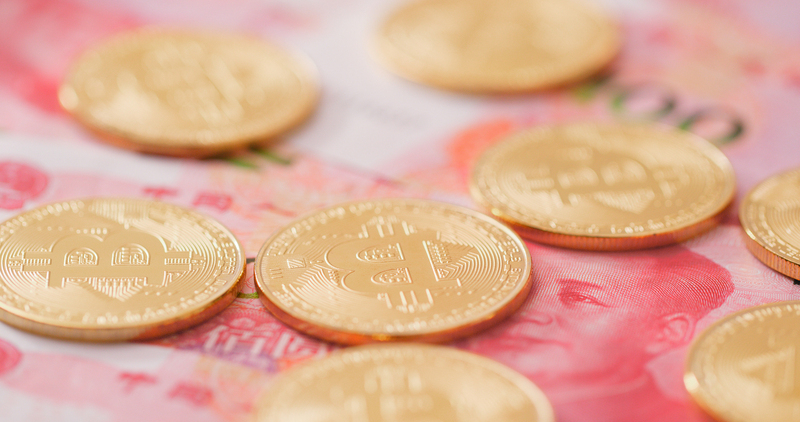 China also banned cryptocurrency exchanges towards the end of last year. This is unsurprising given the number of hacks and thefts that continue to occur through these platforms. However, while the exchanges themselves were banned, the actual use and trading of cyrtocurrencies within China’s borders. This is how the Chinese cryptocurrency market still retains 1% of the global cryptocurrency trading volume, although this is still a rather sad figure in contrast to its previous volume of 15% prior to September 2017. In January 2018, China moved towards discouraging bitcoin mining activities. They plan to accomplish this though ordering the various provincial governments to implement taxes on cryptocurrency and bitcoin mining operations, including land used and cryptocurrency generated, as well as higher electricity charges. This has already had the desired effect of many of the mining companies importing their operations overseas. How Does this Impact the Greater Crypto-Community? Aside from the decreased trade volume, it is the future of China’s bitcoin mining industry that really concerns both bitcoin hodlrs and the greater crypto-currency community alike. One could think that they would be celebrating the higher number of bitcoins potentially up for grabs for the rest of the mining community, but that’s not how it works. As the overall hash-rate drops, that also means that the processing time of the network as a whole will drop. In simple terms, this means that because the miners are responsible for creating the blocks in the bitcoin blockchain, and these blocks record all transactions on the blockchain, it not only slows down the rate at which new bitcoins are produced, but it also slows down the lag time required to conduct each transaction on the chain. This is hugely problematic given that one of the major factors cited for bitcoin’s prevention of mass-adoption lies in its scalability constraints. Currently, the bitcoin blockchain is capable of handling three to four transactions per second, as opposed to Ethereum’s 15 transactions per second, and Visa’s 1,677 transactions per second. As mentioned earlier, even in China’s hay-day it was only responsible for 15% of the overall trade volume of cryptocurrencies. As more people become aware of the crytocurrencies and bitcoin, and become involved in investing them and trading them, these figures will likely be overtaken by the new holdrs. This will take time however, as there is currently a noticeable decrease of general interest in the cryptocurrency industry, most likely resulting from the uncertainty surrounding the status of ICOs and cryptocurrencies in most countries. With that said, many countries, including Lithuania and Switzerland, have already created legislation to govern this burgeoning industry. So too, many companies are also showing an interest in implementing blockchain into their products for IoT tracking purposes. As blockchain is generally associated with cryptocurrencies, and most specifically with bitcoin, the successful large-scale integration of blockchain by major companies could possibly lead to the boost that crypto-economy needs.